PUB HTML5 enables users to define their mother language(17+) as their toolbar language. Interface Language Localization will bring lots of conveniences to different language speaking readers. 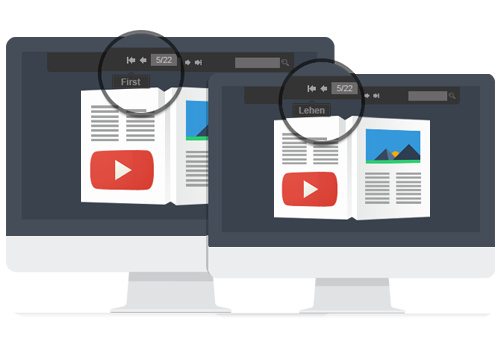 PUB HTML5 provide a full navigation toolbar your audience has the ability to print, crop, download, share, search, bookmark, add notes, zoom, mute, and more. You can utilize several designs in PUB HTML5 and create unlimited customized navigation toolbars that match your publication and branding. 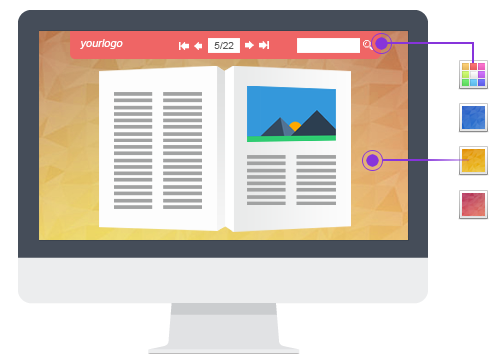 Customize catalogue with your own domain, logo, branding colors and style ; Easily customize the color scheme and styling of your PDF catalogue to match your brand - no coding skills required Share your content via a Custom URL (hub.yourdomain.com) to draw leads back to your site. PUB HTML5 advanced skin editing allows you to make unlimited design adjustments to your online publication. Customize the look and feel by choosing your preferred colors, background, audio, visual page transitions and button controls design. Your digital viewer can include your logo and branding with our White Label feature that is included in PUB HTML5. When you are reading a digital book, magazine, or catalogue, some pages may interest you or be useful to you, so you can print pages of digital book to keep them physically. Now you can print the specific pages as you like! With the optimized search settings in PUB HTML5, the online publication can be more friendly for searching engine. 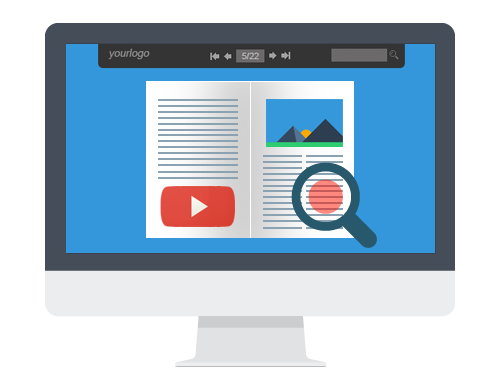 Generate search engine friendly publication and attract more readers to your website. Your readers can search within your publication finding any relevant key words or phrases. PUB HTML5 indexing utilizes unique algorithms to make the search process faster for both small and large publications. 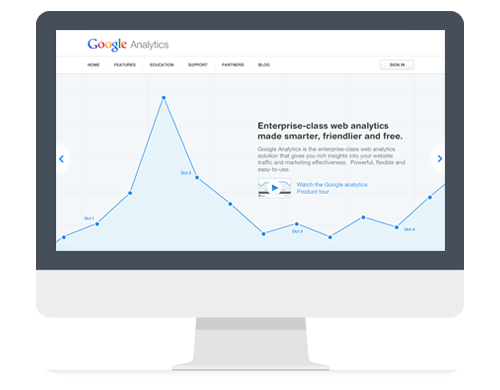 Turn your digital publication onto an efficient marketing tool to track your readers and know your audience by linking it directly to your Google Analytics account. This tool that is integrated with the magazine maker software will enable you learn about you audience behavior including the number of new visitors, the turnout of the existing visitors and much more. PUB HTML5's "Back Issue Online" feature enables your readers to reach your other online publications with ease. 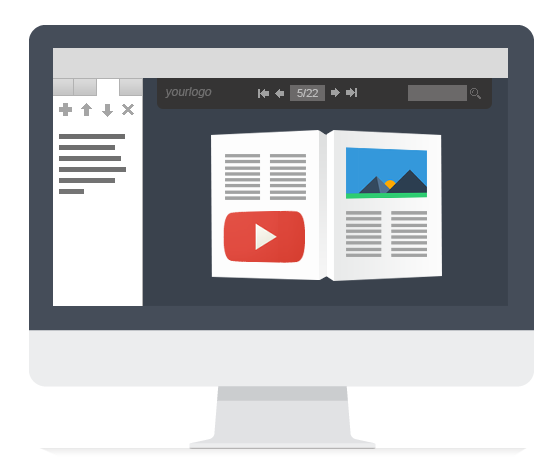 Our desktop publishing software enables you to mark sections or pages with bookmarks and notes. 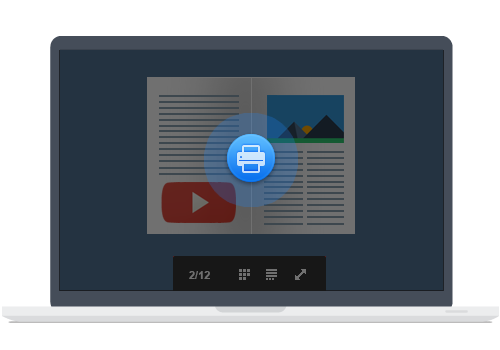 Readers will be able to add notes and bookmarks in your digital flipbook publications, allowing them to reference interesting points of the publication in the future. A table of contents is a list of the parts of a book or document organized in the order in which the parts appear. 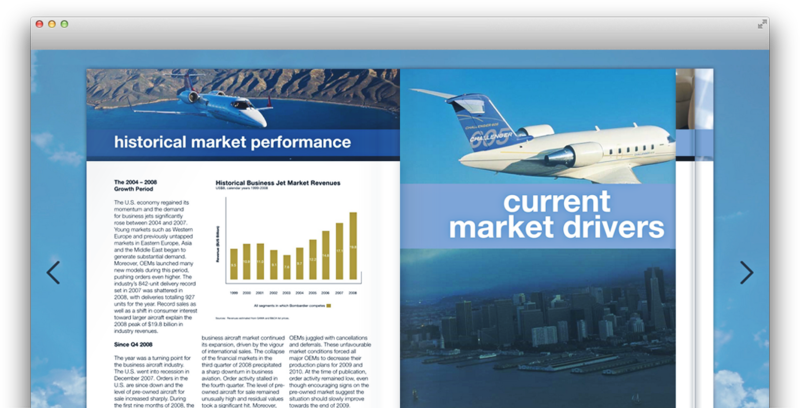 PUB HTML5 allows users to import the TOC into the flipbook from PDF. 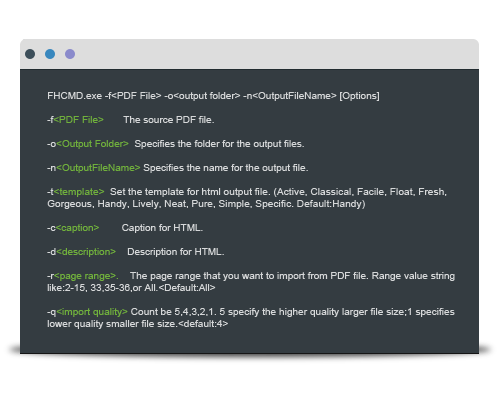 If you want to convert multiple PDF documents to a single book, PUB HTML5 can be a smart choice. 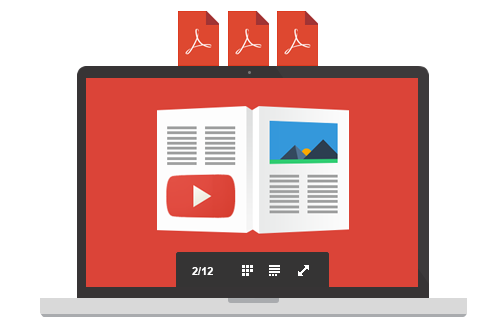 This software allows you to import different PDFs and merge them into a single publication. 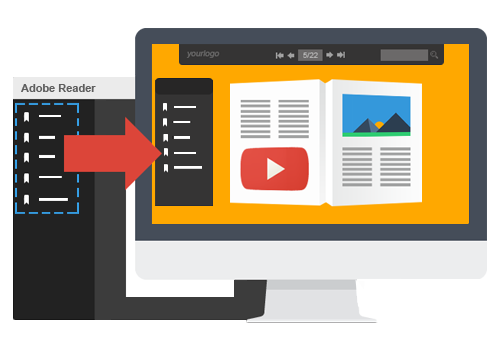 PUB HTML5 allows you to convert multiple PDF files to page flip publications easily and set "import page ranges", page quality and size. 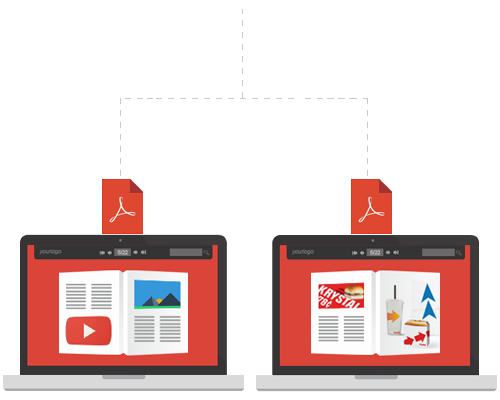 Besides this, you can also import original resources from PDF files, like PDF links, text and image content too. 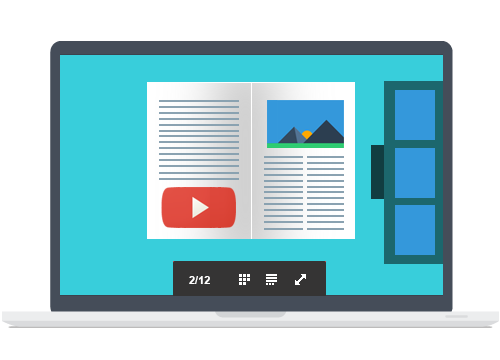 The PUB HTML5 Enterprise users are allowed to use Command Line to convert pdf to flipbook publications. With PUB HTML5 Command Line (FHCMD), users can excute the conversion with a few lines of simple code.